The Prime Minister, Shri Narendra Modi has called for accelerating the delivery of benefits, and expanding the applications of the Aadhaar (UID) platform. 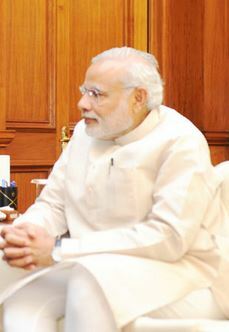 The Prime Minister today reviewed the progress of UID and DBT at a high-level meeting. The Home Minister, Shri Rajnath Singh, Ministers of State in the Finance and Home Ministries Shri Jayant Sinha and Shri Haribhai Chaudhary, Vice Chairman of the NITI Aayog Shri Arvind Panagariya, and senior officials from various Ministries of the Government of India attended the meeting. He called for expansion of the applications of the Aadhaar platform, so that its benefits can be extended to as many public services as possible. He directed concerned officials to identify applications, where concrete results can be achieved in the next two months. Appreciating the progress made in some areas, the Prime Minister directed the strengthening of the institutional mechanism related with Aadhaar and DBT, using a portion of the savings being achieved. He also asked concerned officers to examine the possibility of incentivizing states through a one-time sharing of a portion of the savings, as a result of successful implementation of DBT schemes. The Prime Minister was informed about the current status of Aadhaar enrolment, and the direct transfer of benefits in various sectors. Among other savings, the Prime Minister was informed that a total of 14 to 15 percent saving is being achieved in LPG subsidy alone, as a result of elimination of leakages, and de-duplication. A National Workshop on Affordable Rural Housing Technology will be held tomorrow in the capital to improve the quality, design and delivery of affordable rural housing to the grassroots level by helping the end users to make improved and informed choices. The objective of the workshop is to provide a common platform for the developers, designers, technical personnel of appropriate and affordable building technologies and the implementing agencies of the Housing Sector in the rural areas to share the best practices in the sector. This would contribute to effective implementation of Government’s policy on Housing for All by 2022. The Workshop at Vigyan Bhawan will be inaugurated by Shri Birender Singh, Union Minister for Rural Development, Panchayati Raj and Drinking Water & Sanitation. Minister of State for Rural Development Shri Sudarshan Bhagat will also remain present on the occasion. It will facilitate the dissemination of appropriate technologies and housing designs that can be adopted in different areas in the country. Apart from experience sharing on major aspects and challenges facing affordable rural housing, presentations on different aspects of rural housing, best practices, community participation, case studies on different construction technologies from around the country, sustainable approaches, utilisation of locally available materials for construction of durable houses, initiatives on the part of the State Governments would be made by experts and the State Governments. The event would also see an exhibition depicting housing designs appropriate to different geo-climatic zones of the country besides affordable and alternative technology that can be used for construction of durable houses. The workshop is expected to see participants like developers / designers of low cost housing techniques, technical experts, State Governments, related Ministries / Departments of Government of India viz., Ministry of Housing and Urban Poverty Alleviation, Ministry of Drinking Water & Sanitation, Ministry of Minorities Affairs, Ministry of New and Renewable Energy, Ministry of Power etc., and their sub-ordinate agencies/organisations, Housing and Urban Development Corporation (HUDCO), National Housing Bank (NHB), Central Building Research Institute (CBRI), National Disaster Management Authority (NDMA), Building Materials and Technology Promotion Council (BMTPC), North East Centre for Technology Application and Reach (NECTAR), IIT (Delhi), and NGOs dealing with housing. The event will conclude with a panel discussion with the participation of eminent experts, officials of Government of India and State Government and is expected to come out with clear action points for a way forward in the rural housing sector.